Here are the steps for the Design Procedure for One Way Slab in steps.For those who do not know what are the design requirements of a slab.Before going to this topic, Please read it. 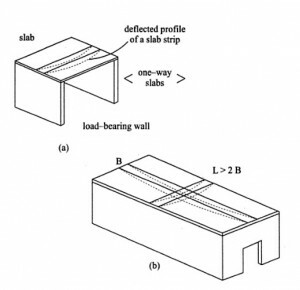 There are two types of slab classification based on the direction of bending occurs in these slabs.The two classifications are one-way slab and two-way slab.The basic difference between these slabs are one-way slab bends only in one direction and two-way slab bends in two directions as shown in the below figure. 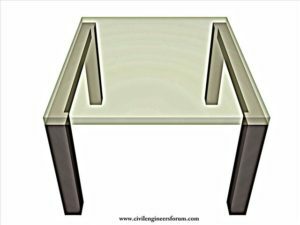 Let’s check what are the Design Procedure Steps for One Way Slab in the below section. 2.Calculate the loads acting on the slab. 5.Determine the area of steel considering meter width of the slab. 7.Distribution steel provides minimum reinforcement as distribution steel at a spacing of 5d or 450mm whichever is less. 8.Slab is checked for deflection shear and development length.In case of slabs( thin members), no need of even minimum shear reinforcement.Shear due to loads always must be less than the shear strength of concrete. What is sagging moment and hogging moment?